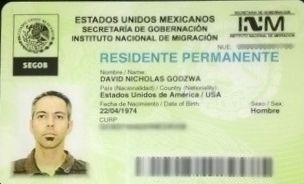 disciplemexico.org · Permanent Residency Granted! Visas, they are our permission to reside and work in the country of Mexico. For foreigners like us, visas make life possible; travel, certain purchases, and business contracts all require proof of legal immigration status, which the visa validates. Therefore, It has been in our best interest to keep our visas current. However, keeping our visas current was routinely more easily said then done. The visas that we were issued were only valid for 12 months. Renewing them had meant sending all of our documentation, including our passports, each year through the mail, and waiting anywhere from 2 to up to 5 months for our approval. So for that time frame, much of life simply had to be placed on hold. Now, all of that has changed. This past month, we have been granted permanent resident visas. These new visas do not expire. The complicated yearly renewal process is a thing of the past! The mandatory waiting period has been eliminated! We can now work without hindrance from travel or business restrictions throughout the year. Rejoice with us! This is a huge blessing! After six, worry filled, years of renewals and a six month wait, we finally have permanent resident status in Mexico! Really, I was ecstatic at the thought of getting my new permanent residency. Still, the employee at Wal-Mart wouldn’t take the picture until I stopped smiling. “You shouldn’t smile for an official document,” he said. Hence, the mug shot photo. Ahh, that doesn’t make sense but………….I guess they have their reasons!